Ah, but no. That is precisely the piece I had in mind. Sorry, at the time of writing my earlier post I was too lazy to find the score or recording and check the title. But now I've managed to find the CD, and here's the track I mentioned earlier - in comparison to Vriemia, vpieriod, it sounds almost tasteful. Almost tasteful? It is tasteful! Nationalism Restrained. I have just listened to his Pathetic Oratorio of 1959(Oratorio pathetique sounds less offensive!). It is scored for mezzo-soprano, bass(in a narrative, declamatory role), chorus and orchestra and is really quite a rousing and exciting piece Splendidly committed performance-as one would expect-by the Moscow Philharmonic Orchestra under the late great Kiril Kondrashin from 1975 on an imported Russian cd. I have an old Olympia disc featuring my favorite Piano Trio...of all time! 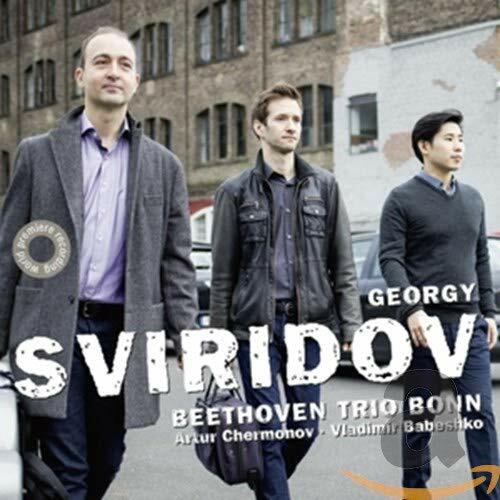 (cue Muhammad Ali impression) Sviridov's trio was written shortly after DSCH's, and contains ALL the things...I'm telling you I've searched in vain for a more perfect Shostyesque piece of chamber music. The slow movmt has all the same great stuff as Shosty, and the whole has that nostalgiac look back on things forever lost (Myaskovsky's Cello Cto.). I don't think you can fault him for having every note in place here...best Russian P.Tr. ever,...drink lots of vodka and cry. 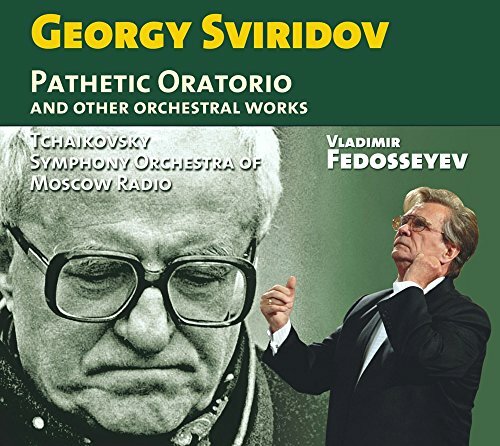 Next on the cd was some songs or vocal music...which I still haven't listened to, well, maybe once, but I'm sure it doesn't exhibit the "beautiful" aspects of Sviridov (if it had the same melancoly as the P.Tr. I'm sure I would be raving now). I'll have to find it. Last on the cd was I believe a Chamber Symphony which I believe was a more optimistic upbeat affair (why am I thinking Casella?). I think it had some modern touches, vigourous, rompy, and just attractive as music. Good old fashioned substantial mid-century modern Russian composer music. But anyone seeking "the" Russian Piano Trio need look no further!!! I remember being disappointed by Vainberg's Piano Qnt. because it did not meet up with my minor key/Shosty expectations (though Vainberg's Cello Cto. certainly is perfection). Perhaps Popov or Shebalin...? Re: Georgi Sviridov(1915-98) String Quartets? 'Snow Storm' is an orchestral work? How is it, anyone? Also, how about those String Quartets 1-2, written in the '40s, after the amazing Piano Trio? 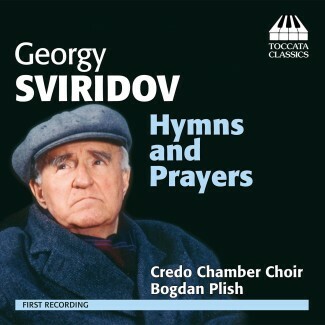 Also, what would be THE Sviridov disc of Vocal Music? I have just one piece of music by this composer, St Petersburg. It is cloyingly beautiful. People who like relaxing, easy going romantic music will like it. Hvorotovsky sings. The Snowstorm (1964) was written to accompany a film based on a story by Pushkin. It is tuneful, memorable and endearing music and very Russian sounding. It lasts 26 minutes and is in eight short movements. I find it atmospheric and enjoyable. In a way it is 'light' music but I do not find it either superficial or bland. Parts of Prokofiev's 'Romeo and Juliet' came to mind (Waltz) as did Piston's 'The Incredible Flautist'. The last movement 'Winter Road' is oddly moving. I think that this music would appeal to admirers of Lyadov's atmospheric miniatures, like 'The Enchanted Lake'. I see that Fedoseyev's fine version is being reissued this month. They call it 'The Blizzard' here but it is the same work. I have it on an old Olympia CD but it is now on Melodiya. I was an MGS fan, and this is how I came to know Georgy Sviridov. In a MGS fan site, somebody brought up the Winter Way from Sviridov's Suite back in 2005 and I in turn was awe-stricken by the similarity and resemblance. A video posted on YouTube shows series creator, Hideo Kojima, being presented with a recording of Georgy Sviridov's "Pushkin's Garland," a 1979 classical work which contains a similar-sounding passage. The MGS theme was first heard in the original PlayStation game, 1998. It was written by Konami's Tappi "TAPPY" Iwase, and has subsequently been reworked and remixed, most notably by film composer Harry Gregson-Williams, who scored MGS2-4. 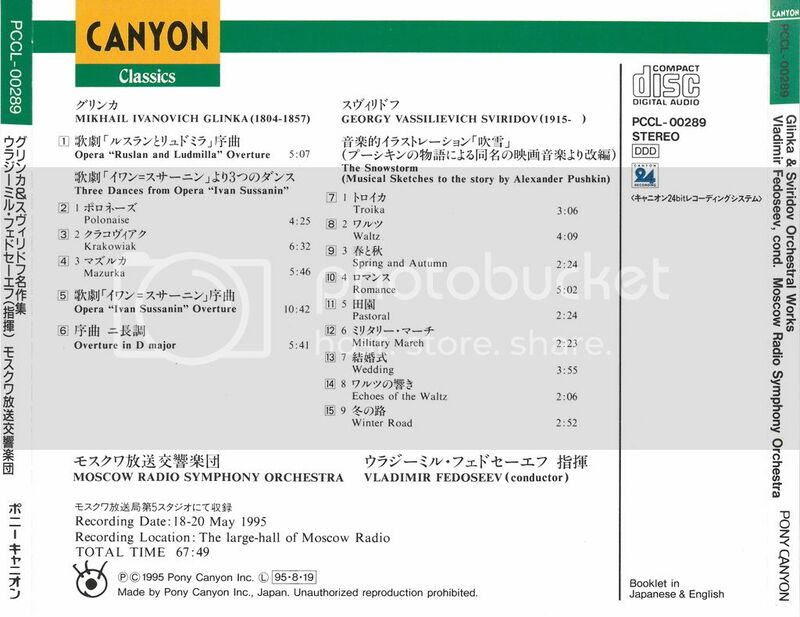 In any case, I would like to recommend the Japanese Canyon Classics release of 1995 (recorded on 18-20 May 1995). It's a fabulous 24-bit DDD recording. I've enjoyed every work, especially the jazzy opening movement of 'Small Triptych' and reflective second movement. He has a style unlike other soviet composers I think but very approachable without being facile. I also like the quintet on this CD (more than the trio). 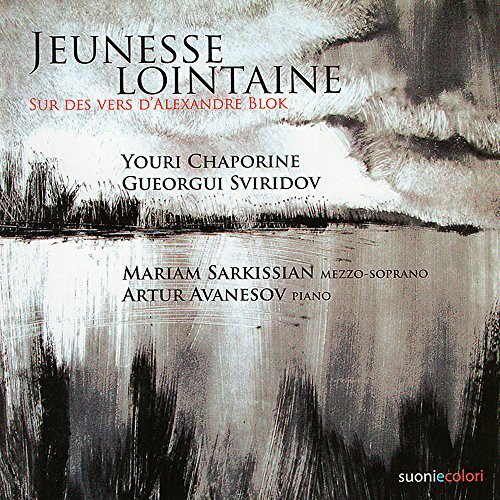 My all time favorite Sviridov is this lieder CD on poems of Alexander Blok. I posted it over and over in other threads. Thanks for bringing this to my attention, Jeffrey. I love Shostakovich's Piano Quintet and Piano Trio (I assume you mean no. 2), so I'll definitely be checking out those Sviridov works! 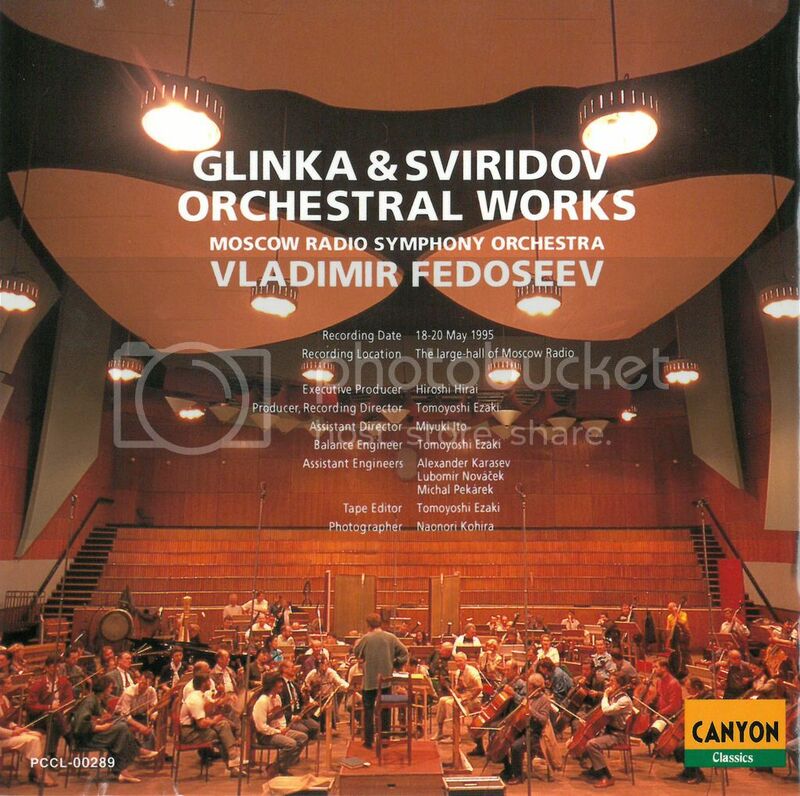 It occurred to me that some of Sviridov's orchestral music reminds me of music by Ovchinnikov, anther fine and even more neglected composer, who is still alive as far as I know. Re: Georgi Sviridov(1915-98) PIANO TRIO MASTERPIECE PQ???? it's a flipping Masterpiece!!!!! The saddest thing ever... must find the old Olympia CD... is the PIANO QUINTET just as good??? I think so although the Funeral March in the Piano Trio is probably my favourite movement in both works, although slightly derivative of Shostakovich's Piano Quintet. 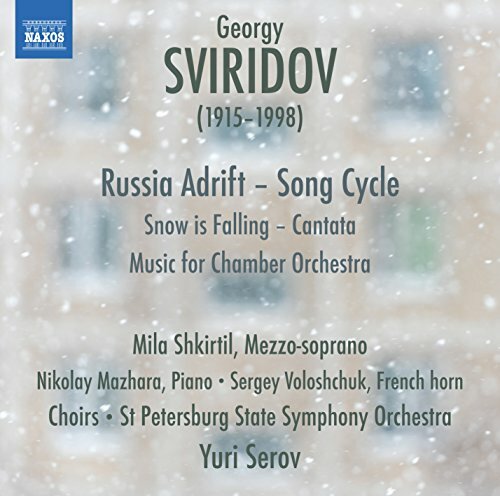 I am listening to "The Snow Storm" conducted by Vladimir Fedoseyev now and it is such charming and lovely Russian music. 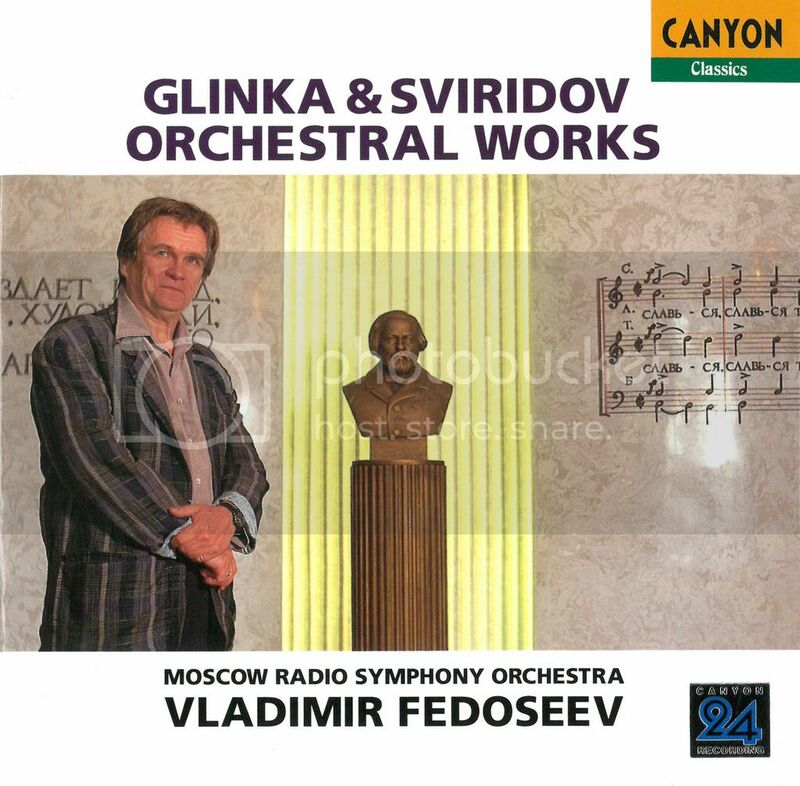 Very Russian with elements of Mussorgsky, Prokofiev, and Shostakovich. Based on a story by Tolstoy, does it get any more Russian than that? I want to hear more from this excellent composer but there just isn't much out there but it is of such high quality. Why isn't he better known? Yes, The Snow Storm is such a delectable work, it's a real delight to listen to it. Maybe you should try his chamber music, i.e. the Piano Trio and the Piano Quintet, which have some echoes of Shostakovich.